Lifestyle can have a large impact on how we age as it can affect our health and well being. 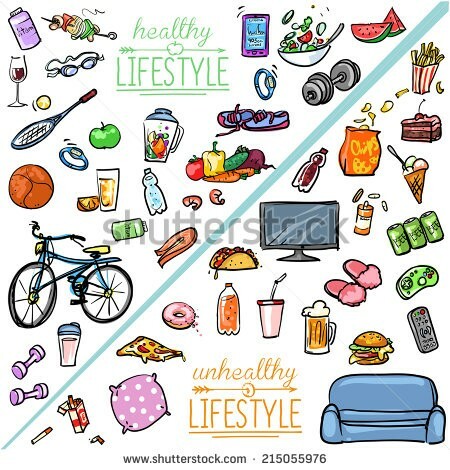 The choices we make throughout our lives can significantly shorten or lengthen our lifespan as they can have a positive or negative effect on us. 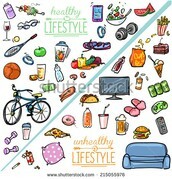 Having a good lifestyle and being in good health can improve our quality of life at present and in future. For example a good diet and exercise can help our bodies stay healthy without an immediate risk of things like physiological diseases. Therefore our bodies will be here and we will age well and in a sense be more satisfied and happy with our lives. Keeping fit and active will cause a slower deterioration to our brains which could prevent diseases like dementia or slow them down. However having a bad lifestyle will have a negative influence on how the individual will age. For example smoking will cause damage to their bodies and therefore they may show signs of ageing quicker than those who don't smoke. Having a poor diet may mean the body is not getting enough energy to function properly, therefore it has less energy for repair and maintenance. As the disposable soma theory proposes our body will begin to age and deteriorate faster due to not being able to repair and maintain our bodily cells. Our healthcare system is continuously improving which can extend the life expectancy so people will live longer. A lot of diseases have now become curable which helps prevents disease related deaths. Things like vaccination can help prevent an individual from catching specific diseases. A vaccination is a weakened version of a disease which can help the white blood cells to identify the real active pathogen of the disease. Diseases such as polio and smallpox can now be prevented from developing through vaccinations, this has significantly lowered the death rate and people are able to survive for longer than before. Also it has become more organised and accessible, this means people will be able to get help as soon as possible and if they are unable to. Having all these new things and advancement in equipment and education will improve the life span as we have more available to aid us. This means we can get help and cures for many things that were not available before. Due to this improvement people can live a longer and healthier life through getting help from healthcare professionals. Isolation or loneliness can have serious effects on an individuals mental health. A prolonged period of isolation may lead to mental health issues such as depression, it may also increase the risk if death or illness. The disengagement theory suggest that most elderly will isolate themselves from society and prepare for death, it also says that social isolation is a natural process and an expected life event. It is said that social isolation is bad for peoples health, so it can affect the life expectancy and the way people age.